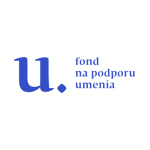 Project In memoriam: Word is an exchange project supported by European Union program Erasmus+, initiated and coordinated by Pôtoň Theatre from Slovakia. Project involves 4 partner organizations from Czech Republic, France, Romania and Palestine. 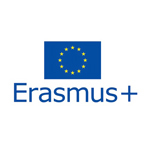 The aim of the project is to bring together 30 young people from 5 countries that will work together on artistic reflections on the topic of freedom of speech, freedom of expression. This project is supposed to be a response to current situation of freedom of expression and speech not only in Slovakia, but around the world. There are several sad stories of journalists that led to this initiative. Murder, disappearance, persecution, blackmail, harassment, defamation, hateful references. These are the fates of the people that dedicated their lives to uncover the truth. These attacks on investigative journalists and freedom of speech are frustrating to people who wish to live in a democratic society. Through this project we want to pay homage to the work of journalists, who try to uncover the truth despite the danger they face. Another issue that this project is trying to face is the tendency of the society to forget. Impulses that the society experiences directly after the incidents are strong in the given moments, but the public displeasure fades in time. We tend to forget. The aim of our project is NOT to forget and to keep this topic alive through art. In the end, we can see parallels between the work of a journalist and the work of an artist in the freedom of expression, which is often supressed from above. Each group from each country will consist of 6 young people and 1 leader. We want to explore how our project participants, who have different backgrounds, culture, knowledge, experience, opinions, life stories can together form a common initiative based on memory, freedom and tolerance. Do you want to explore important social issues? Do you want to engage in a social change? Are you able to work in a group? Are you ready to work hard to achieve your goals? If the answer to all these questions was YES, this is a project meant for you. The plan of activities is wide and diverse. Accommodation, food, material and all the activities are provided and covered fully by our organization. Travel expenses are covered partially according to travel distances (see table below). In case you book your flight soon enough, your travel expenses can be covered fully. The only cost that is covered by participants is the travel insurance. Having an insurance is an obligation of each participant. It must be valid for the whole mobility, including the dates of travelling. Pôtoň is a theatre and cultural centre that was founded in 2000 and since 2008 it has been purposely operating outside the capital of Slovakia, in a village Bátovce – on the periphery. Pôtoň became a cultural, creative and educational centre, an institution whose aim is to enrich lives and educate people in the region. It is the only Slovak professional theatre established at countryside. Within the cyclic whole-year project Centre of Arts and Creativity it operates as a cultural centre and focuses its activities on creation, presentation and promotion of contemporary art. It promotes dance and theatre performances, audio-visual works, concerts, visual exhibitions, new media. Our team and partners also lead professional workshops for artists, cultural managers, children and local community. Part of our main role is to develop different socially engaged projects focused mainly on the youth, that contain arte-therapy, discussions, creative workshops, live libraries etc. We also organize several community projects and we provide support for Slovak and foreign artists through artist residencies. As a theatre we are usually considered as socially engaged and our productions tend to explore provocative social topics and issues. Our plays are usually based on a field research, they are defined by pressing social issues and characterized by a distinctive play with styles and different means of expression. The most distinctive plays resonate with themes such as poverty, national identity and xenophobia, search for home, decline of values, emigration etc. Pôtoň is located in peaceful rural area of the village Bátovce. Bátovce is located in the department of Levice in the region of Nitra. Bátovce was the former royal town, today it is a village with 1100 inhabitants. The distance between Bátovce and the capital of Slovakia – Bratislava – is 163 km.